I'm having trouble with radiobuttons (same for dropdownlist). Howdy, I've fixed this for the next release. However, anytime you use the UI Designer, it will revert the number back to 0 in your script. You'll need to make sure it's correct before building a DLL. I've fully fixed this: Using the UI Designer will no longer revert the value back to 0. Where could I download the updated version? CodeLab from BoltBait site still reverts the value to 0. @toe_head2001 and I work together on CodeLab. So, when he says he fixed something it means it will show up in the next official release of CodeLab. When will the next official release happen? I'm not sure. Generally, we both work on stuff until we feel that we have a "release full" of stuff done. Currently, there's only a "handfull" of stuff done. But, I'm sure it won't be too long. Thank you @BoltBait for this answer. Thinking of getting this so I can edit dpy's speech bubble plugin for my own personal use. Problem is...I have no idea how to code. Does this work as a text editor using nodepad/notepad++ ? Does this work as a text editor using nodepad/notepad++ ? Yes, CodeLab is essentially a text editor. Both CodeLab and Notepad++ use the Scintilla component for the actual text editing. Problem is...I have no idea how to code. You'll need to know how to code, if you want to make meaningful changes to the Speech Bubble effect. It's not to late to learn though. Even if I simply want to add a few more directions for the....tail that's used to show who is talking and where the speech is coming from? Just found out finally that the thingamabob line thingy is called a tail. Yup. You'll need to know C#. As far as I recall, the author of Speech Bubble ( @dpy ) hasn't released the source of his plugins. 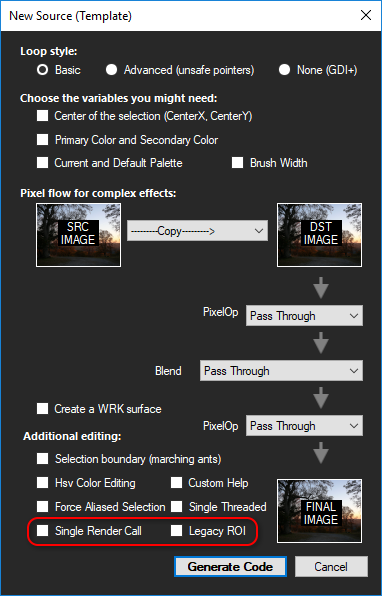 This is only for Paint.NET 4.1.2+! This is no good because it will dispose your effects and work surface without looking at the "disposing" flag variable. Notice that it is now checking the "disposing" variable before actually disposing the work surface and effect. You may need to revisit any effects you've written in the past to be sure the OnDispose code is written properly. 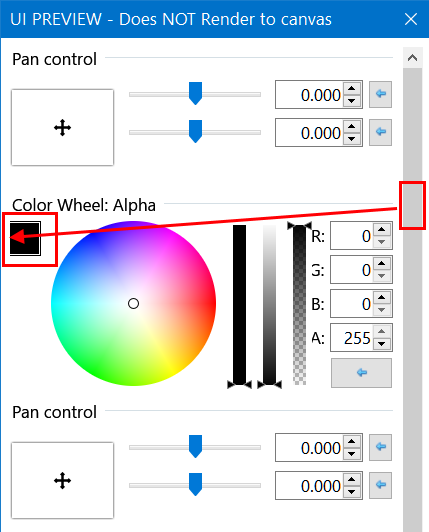 You can now set the Min/Max range for the AngleChooser control. Previously, you'd have to export the project to Visual Studio if you wanted to do this. 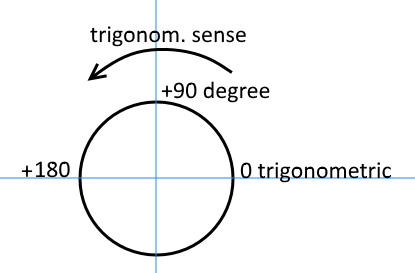 Secondly, about AngleChooser, sometimes it's useful to set a zero-trigonometric value to +90 degrees. This could be added as an option in the Style drop-down list. I don't know how much work this option requires and that's why I don't want to insist. Anyway, I can live without it. ? My trigonometry is a bit "rusty"; what's a zero-trigonometric﻿ value? Oh, I see. Zero would be at the "12 O'clock" position. Yeah, I agree. It would be useful. Apologies if I missed a link somewhere. Is there a zip for CodeLab 4.1 that is not an installer? Alternatively is there a why to have the CodeLabInstaller exe work with the Windows Store version of Paint.net? I've created some work-in-progress documentation for CodeLab. This covers the actual features of CodeLab; nothing code related. It is written in markdown files, and then MkDocs is used to build those files into a website. Each page has an edit icon in the top right corner. Feel free to fill in any missing content. A GitHub account to required to submit changes though. I don't know if this is intentional behavior or a bug. Also, for Display setting to 125% if the UI becomes too high and the scroll bar appears, the control is not properly resized and the color rectangle is not entirely visible. I don't know if this is intentional﻿﻿ behavior or a bug. What at do you expect to happen? 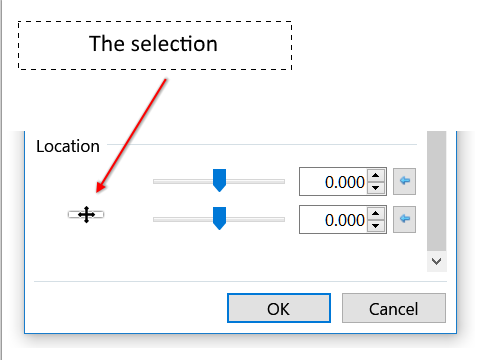 Currently, the selection is displayed in the control so the + is constrained to the selection. 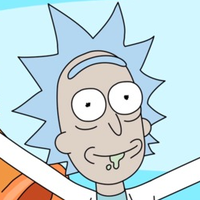 BTW, 125% is an evil abomination that shouldn’t exist. Only 100 or 200 should be chosen. I don't know why I had the impression that this was not happening in previous versions of CodeLab. Verdana is one of the fonts that comes with Windows. Are you running Windows in a language other than English? Curiously, this machine is Windows7 running in English. That's pretty strange. CodeLab should only fallback to the Verdana font if none of the other fonts (Consolas, Courier New, ect.) are available. Given that Consolas, Courier New, and Verdana are all included with Windows 7, those fonts must have been uninstalled from your computer at some point. 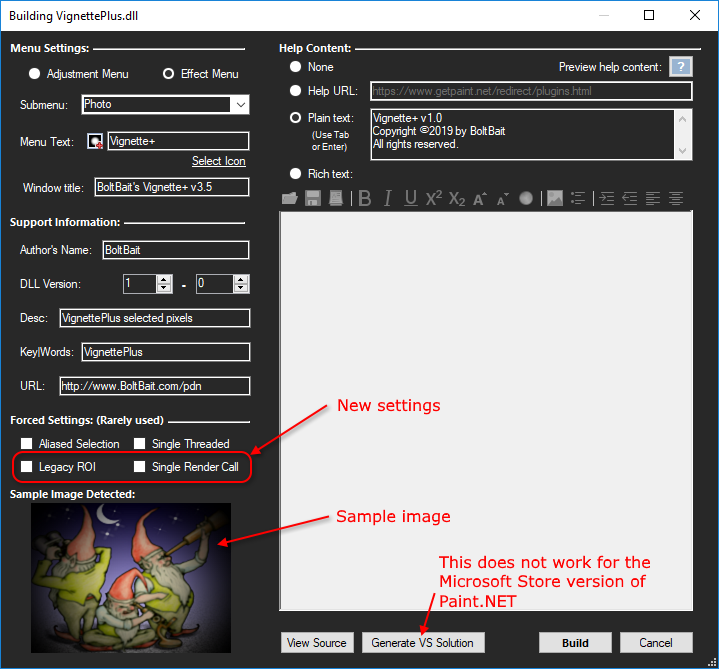 This is only for Paint.NET 4.1.6+! You can now install CodeLab when using the Microsoft Store version of Paint.NET. The only limitation is that you can't generate a Visual Studio solution of your CodeLab script. If you click the button, nothing bad happens, it just tells you of the limitation. SingleThreaded only uses 1 thread to make calls into Render. It'll still be called many, many times, just like if you didn't use the flag, but without any multithreading. Progress bar still works here. SingleRenderCall only calls Render once, and it's done with 1 array with all of the roi's. That this is effectively SingleThreaded is just a corollary. You won't see any progress bar updating here because the progress bar is updated as each Render call finishes, and there's no side-channel for reporting progress.